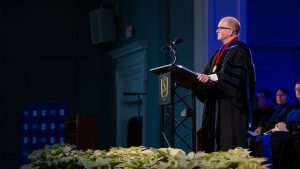 Dr. Danny Akin, President of Southeastern Seminary in Wake Forest, NC delivers the commencement address for the class of Fall 2017. 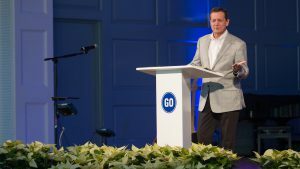 Danny Akin, President of Southeastern Baptist Theological Seminary, preaches on how there is joy for the world, that we must share, and see go to every tribe, tongue, and nation. 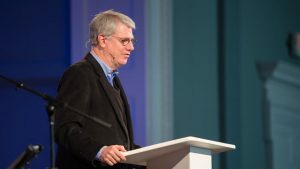 Kevin Ezell, President of the North American Mission Board, preaches on how every day is a missions opportunity to have a gospel conversation. 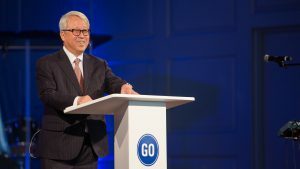 Daniel Lee, Pastor Emeritus of Global Mission Church in Korea, preaches on how we experience the depths of God’s love and forgiveness through the Word. 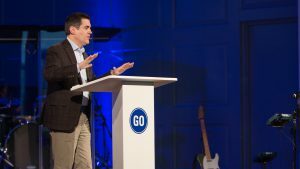 Russell Moore, President of the Ethics & Religious Liberty Commission of the Southern Baptist Convention, preaches on how the person who knows their ministry is not everything is one who is actually able to minister effectively. 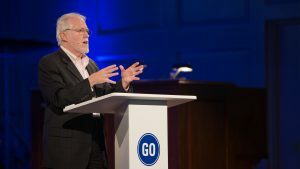 Chip McDaniel, Professor of Old Testament and Hebrew at Southeastern Seminary, preaches on the Creator-Redeemer motif in scripture. 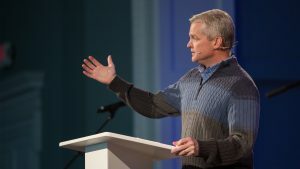 Al Jackson, Pastor of Lakeview Baptist Church, preaches on how following Jesus means being willing to surrender our comfortable lifestyle. 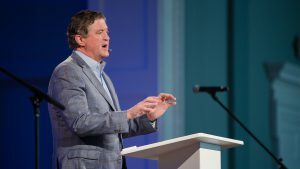 Steve Gaines, President of the Southern Baptist Convention, preaches on these two questions: How are you going to be thought of after you’re gone? Will people love the Lord more because of you? 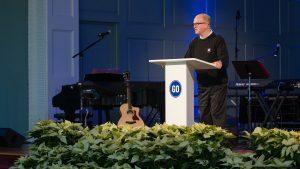 Brian Frost, Senior Pastor of Providence Baptist Church, preaches on how we are in a relationship with God – who we can’t fully understand.